HomePast SeasonsWill Tonight’s Live Eviction Pre-Tape One Hour Early? Will tonight’s Veto and Eviction episode be pre-taped one hour early? 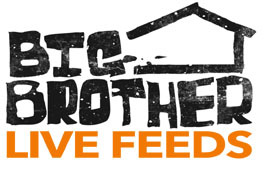 Thursday evictions usually take place at 8pm, but Big Brother’s Tuesday time slot is is 9pm. However, ticket holders for tonight’s eviction are reporting that their arrival time is the same as it usually is for Thursday evictions. Big Brother is pre-taping their episode early, this Tuesday, September 8th! The taping is in Studio City, California and the arrival time is 3:30 PM. So, what does this mean? If the show is in fact being taped one hour early, live feed viewers will miss a lot of the endurance Head of Household competition that is scheduled to occur tonight. Part 1 of the final HOH is supposed to start live during the show and live feed viewers enjoy turning the live feeds on immediately after the show to see who wins. But if the show is taped one hour early, the live feeds will most likely still be blocked until the conclusion of the broadcast. UPDATES @ 4:42pm – Another Big Brother 11 ticket holder for tonight’s eviction sent us a note saying the arrival time in her email said 4:30. But this doesn’t explain why the email said tonight’s show will be pre-taped. We’ll have to wait and see!